The New York City Ballet fall season has come to a close, but before it did, I got to see works by founding choreographers George Balanchine and Jerome Robbins. The story is fairly simple. Columbine (Ashley Bouder) and Harlequin (Andrew Veyette) are in love but Columbine's father, Cassandre (Giovanni Villalobos), disapproves. He hires a few stooges to get rid of Harlequin, while bringing in Leandre (Aaron Sanz), his wealthy choice of suitor. Meanwhile, Pierrot (Anthony Huxley) is Cassandre's servant, and tries to further Cassandre's plans, but Pierrot's wife, Pierette (Claire Von Enck) keeps him in line. It's all lighthearted and fun, including the fairy (Miriam Miller), whose mystical powers help Columbine and Harlequin get what they want. Veyette and Bouder have a delightful and playful rapport, which they get to show off to great effect in the first act. Their "courtship" is danced as one of those dueling pas de deux, in which they dance together but then they show off for each other, dazzling everyone. The whimsy continues in the second act, which is a series of divertissements at Columbine and Harlequin's wedding. Some of the divertissements are danced by children, adding even more levity to the piece, and all divertissement groups represent different stock commedia characters. 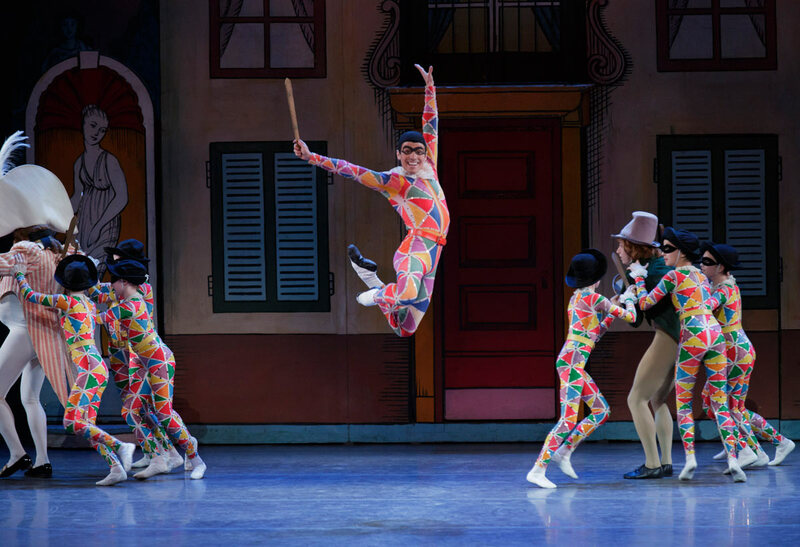 It's an entertaining, family-friendly ballet that makes great use of the large Company. 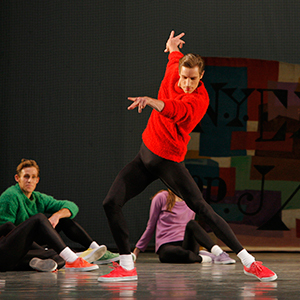 And for my final ballet, I saw my favorite: Jerome Robbins's NY Export: Opus Jazz. This exuberant ballet is always over too soon, but at least this time Georgina Pazcoguin (pictured at right) and Justin Peck were dancing the feisty "Statics" movement. Also impressive were corps de ballet member Preston Chamblee, whose strong presence is magnetic, and soloist Ashly Isaacs, who brings a fun and flirty flair to the ballet. Taylor Stanley danced "Passage for Two" once again, this time alongside Emilie Gerrity. 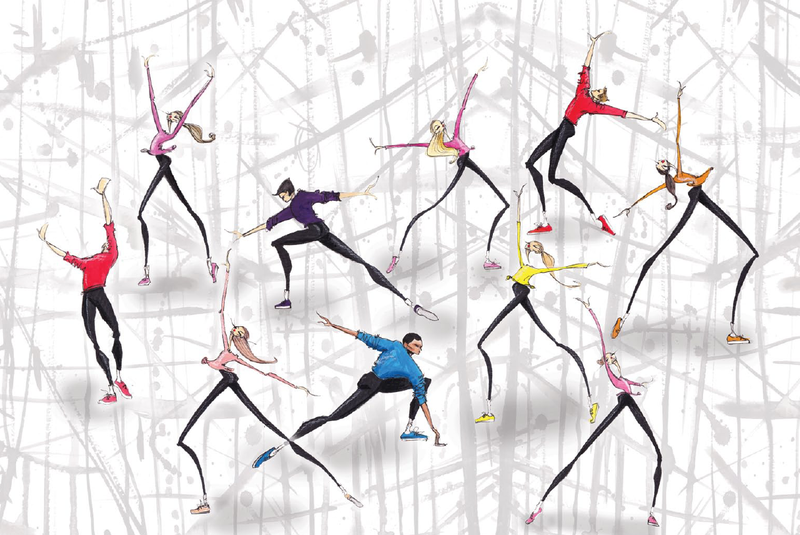 NY Export: Opus Jazz will be part of NYCB's spring season, so make room on your calendar!